As a parent of a young toddler, what I needed to get through the day completely changed from when Carl was a baby. It was especially easy when I was breastfeeding and all I really needed was myself and some diapers/wipes. Before Carl, I remember being out at restaurants and stores looking at parents toting along all of this “stuff,” thinking, do you really need all of that? 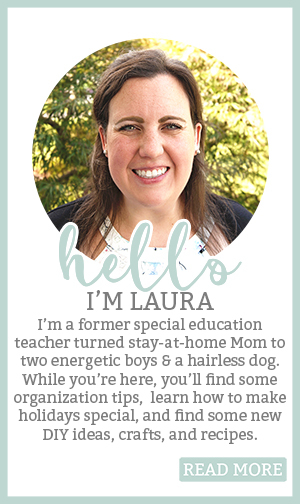 I had no idea what I was in for (and I was also a totally judgmental pre-Mom). Now, not everything I use is really necessary, but it sure makes life a lot easier. There are lots of baby survival lists floating around, but I rarely ones about what you need for a toddler (probably because their Moms can’t bring out their laptops unless they want to watch the hot dog song on repeat for the next half-hour). So today, I am sharing with you my toddler must haves. Now, my list may not work for everyone and I am sure you are thinking, “why do you need that” or “how in the world is ____ not on your list.” For the latter, please let me know what I am missing. As a Mom, I know there are always things I haven’t discovered yet. 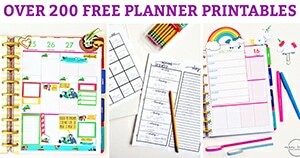 I would LOVE to hear your lists and will be glad to link to them from my post. I don’t know about you, but I love learning about anything that can help make life easier with my little guy. And as I have learned after life with two kids, not everything we needed for Carl, we need for Jack. Since every toddler’s needs are different, what works for you may not do much for someone else. So may I present to you, my “how the hell I survive the day and going into public with a wiggly, little, loud toddler so that I don’t go crazy and we don’t get banished from stores and restaurants forever list” aka The Toddler Survival List. Any type of hand wipe singles will do. I had a large pouch of wipes and they kept drying out on me. They also didn’t survive Carl’s “pulling every wipe out of the pack and throwing them on the ground is so much fun” stage. I use these for everything from wiping his hands/face to wiping off sticky grocery cart handles. Just recently I caved and bought real sippy cup holders. Before that, I lived off of shoelaces. Carl used to be obsessed with chewing on people’s shoelaces (even when they were wearing their shoes); so we started to carry shoelaces with us to entertain him. One day while shopping, I couldn’t take picking up his keys one more time, so I used a shoelace to tie the toy onto the cart cover. It quickly became our thing. We have shoelaces on the stroller, on the cart cover, and extras in my diaper bag. 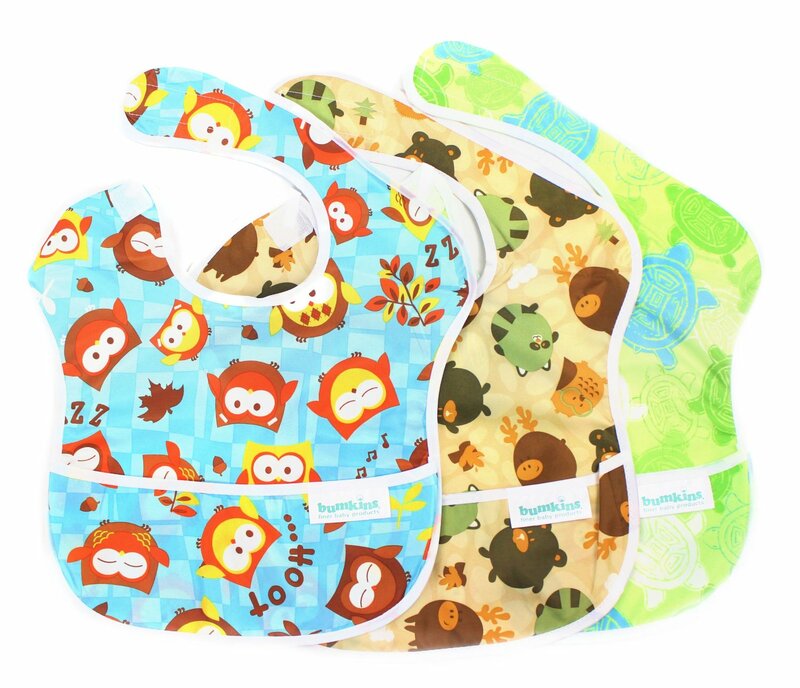 They are super cheap (possibly free) and extremely durable and machine-washable. We just finally bought a sippy cup holder for his high chair. This is a total splurge and probably an unnecessary item. Carl has an extra cushy surround and thanks to our handy shoelaces, he has all sorts of toys tied to it. I don’t have to think twice about what I need to grab from my diaper bag because all of his toys are ready to go. It has a pocket for a smartphone. Instead of the phone, I use the pocket for snacks while shopping. 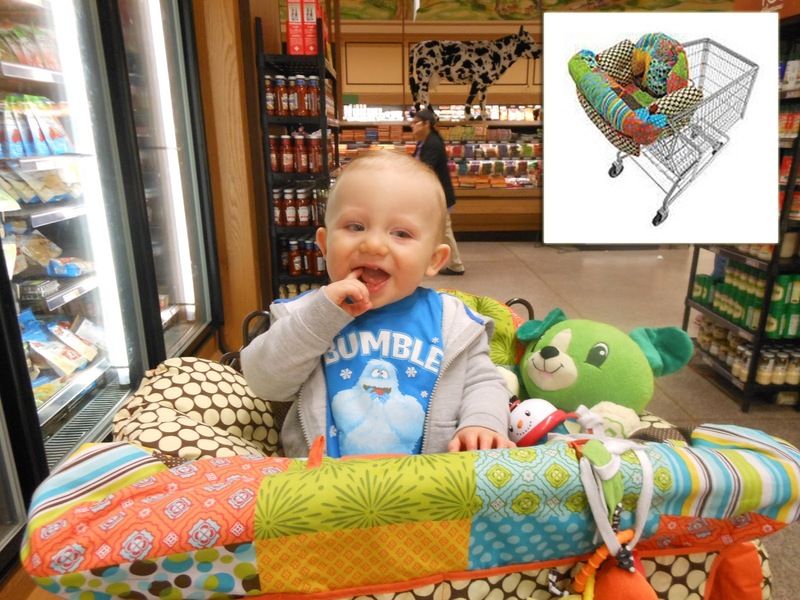 Shopping carts can be really disgusting so I feel a lot better about having a layer between Carl and the sticky seat. 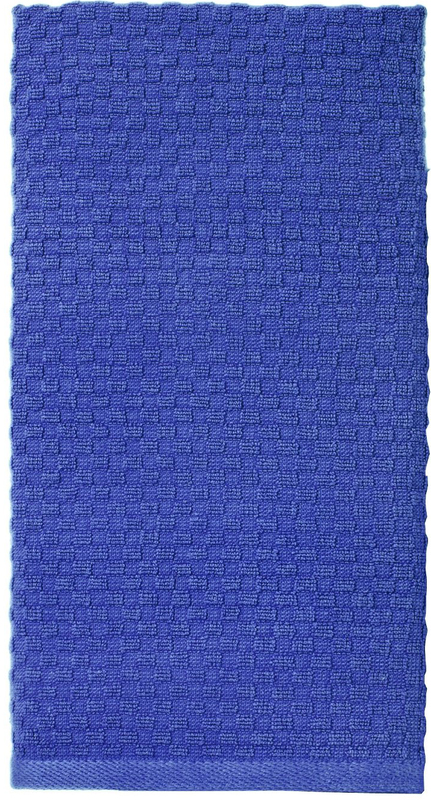 Disclaimer – this mat does not work on every table surface. I wish that this mat worked at every restaurant, but it doesn’t. For some reason, there are certain textures it just won’t stick to. But, it happens so rarely, this is still a must-have item. This allows us to feed Carl in restaurants without the fear of him breaking a plate or forbidding us to return for leaving such a gigantic mess. Pasta directly on the table just won’t work and neither will a plate of food being tossed on the people at the table next to us. I especially love the way it rolls up and fits into my diaper bag. My husband reminded me of this must-have item. We have a fancy video monitor in Carl’s nursery. But, we also have a sound monitor. If you travel a lot to people’s houses with your little one or need to work on a project while your child plays, it’s the perfect solution. We have used this monitor at my parent’s house so many times so that we could enjoy a late-night party while he slept upstairs. I especially loved it when I first had Carl and it was too cold to take him outside with the dog. I was such a paranoid first-time mom, I couldn’t handle leaving him inside alone even for a few minutes so I would grab the sound monitor which we kept in the playroom. 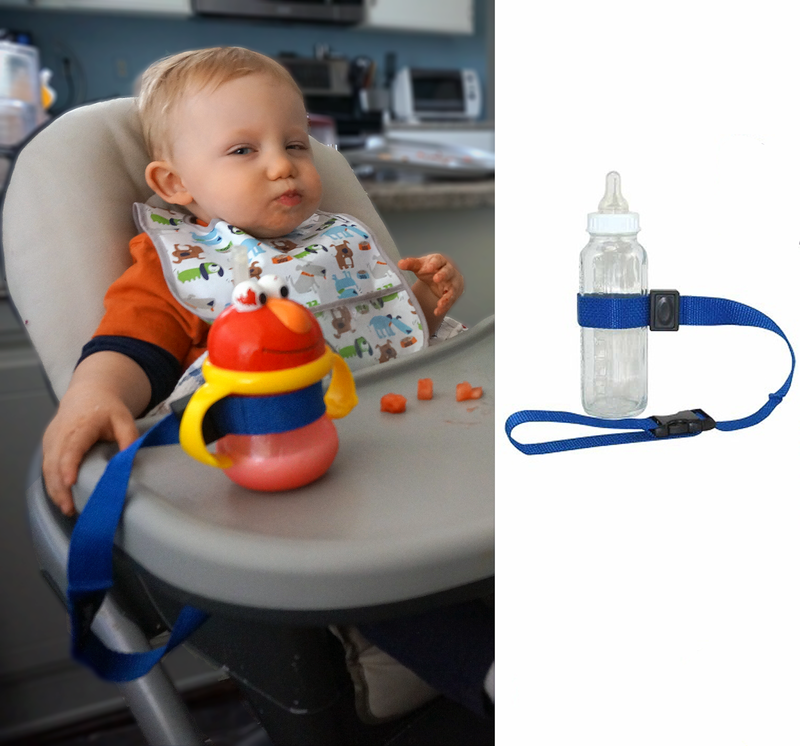 It seriously prevented numerous Mommy panic attacks while trying to rush the dog to do her business. I know this one is a given, but I still had to include it for both home and restaurants. 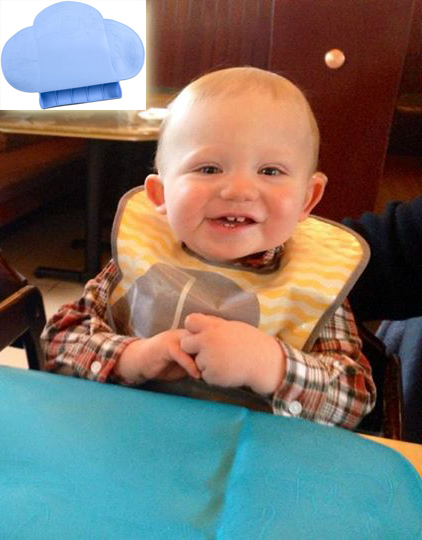 We love our plastic bibs, they’re so easy to wipe down and reuse and they protect Carl’s clothes. You can see in most of the pictures of my kids eating, they are using a Bumkins bib. They have become our favorite brand. I know, another random item on my list. But I place a hand towel in Carl’s lap while he eats. He is such a messy eater and somehow his lap ends up eating more food than him. The hand towel prevents me from having to change his clothes after every meal. It’s seriously a magical barrier. At first, naive me, had nothing under his chair. It was not big deal when he was a baby. But now, my carpet wouldn’t survive without a cover. I used to use a tarp but it wouldn’t come clean easily. My mom thankfully suggested buying a cheap shower curtain liner so that I could throw it into the washing machine with towels when it was dirty (did you know you could do that???? Thanks, Mom!!). 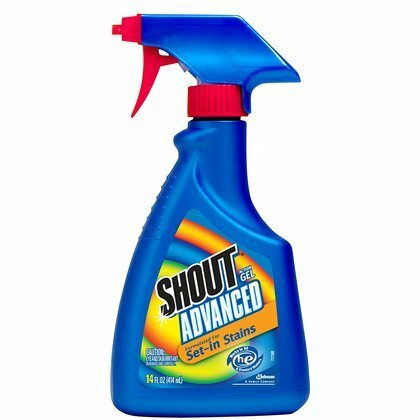 Now, using shout is common sense. But keeping it by the hamper has prevented so many stains. Whenever Carl has spots on his clothes, my wonderful husband sprays the spots before the outfit ever enters the hamper. This way, the stain is treated right away and so I don’t need to think twice on laundry week day. Of course, we make sure though that it is kept safely out of reach of our little ones. There are some store-bought onesie extenders out there but I read some really bad reviews. Instead, I used some old onesies to create my own. I made a few out of different brands so that the snaps would fit perfectly. I am by no means a seamstress and I had no problem making these (seriously, the first time I tried to use my sewing machine to do this, I forgot to put down the lever for the little foot thing-a-ma-bobber and couldn’t figure out why my onesie was moving all over the place). 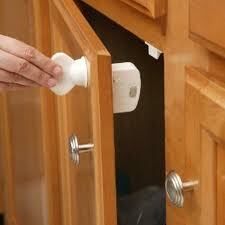 When it came time to baby-proof our cabinets, the number of options was overwhelming. We settled on these magnetic locks and I am so glad we did. The doors lay flat with no gap so there is no chance for finger-pinching. 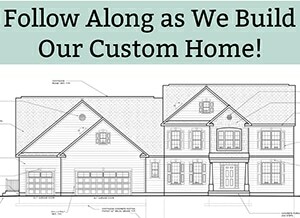 They were so easy to install – they came with these amazing sticker templates. It took me one nap to get them all done. 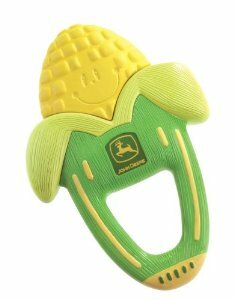 Carl was never crazy about teethers or frozen washcloths but for some reason, he has always loved this corn teether. Now, it is a must-have. For my boys. it was totally a favorite. I am not going to pretend that we keep our house screen-free. As a stay-at-home Mom, there is only so many ways you can try to get one minute to yourself to make dinner. Without this cover, I could never trust leaving it in the playroom with Carl. The iPad has been dropped, flipped, chewed on, flung, and has even been head-butted. But nothing has defeated the mighty otterbox cover. While it may be a little pricey, buying a brand new iPad would cost a hell of a lot more. As explained above, Carl uses the iPad while I make dinner. These Fisher Price Apps were created by some sort of baby/toddler magician. I swear there are some secret sounds or something coming from this thing that only kids can hear. He is addicted. He is obsessed with Storybook Rhymes Volumes 1, 2, and 3 (on page 3). 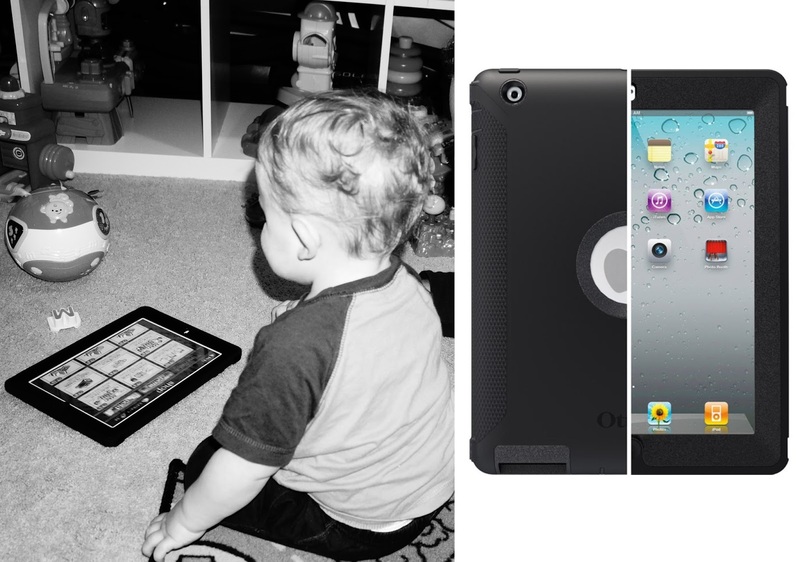 If you use an iPad or phone with your young toddler (or baby), these are a must-have. Great and original list of must have items! 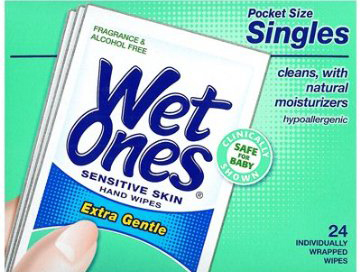 I ALWAYS have Wet Ones Singles with me. I tell you… a lifesaver. 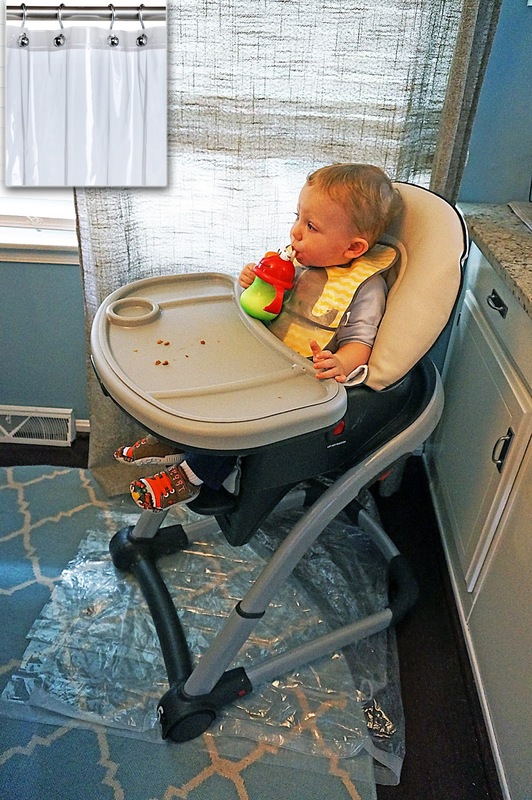 I love the shower curtain under the highchair idea… how clever. Wishing you a lovely weekend and a very Happy Mother's Day! Thanks so much for a great new party and for stopping by! Have a great Mother's Day, too! 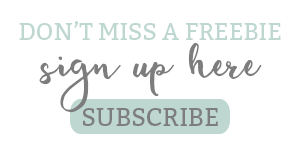 Thanks for sharing on Blogger Brags!! Thanks for another great party and for stopping by! Thanks for stopping by! Love your dress up station!